Provides softness, elasticity, gloss and shine to the hair. Protects the hair from free radicals and environmental impact, Nourishes hair with exclusive Omega 3, 6 & 9 complex, Repairs damaged hair by providing it with Vitamins Pistachio Oil Hair Treatment Formula offers great style and finish while providing a rehabilitating effect to the hair and scalp. It serves as an all-in-one treatment or to complete other hair procedures, such as blow drying and for extra softness and sheen. The luxurious Pistachio Oil is a natural treasure for Omegas, Vitamins, Linolic Acid and Fatty Acid. As more and more women consider the natural qualities of their products, Pistachio Oil is gaining substantial success in different parts of the world. The exclusive formula and the overall clear effect are globally appreciated by hair stylists and their customers. Pistachio Oil protects and rehabilitates hair fibers, prevents split ends and untangles knots of all hair types. Enriched with Omega 3, 6 and 9 it provides softness, elasticity, gloss and shine to the hair. 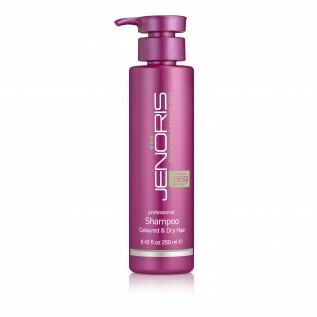 What makes JENORIS so special for your hair? Bringing the extraordinary Power of Pistachio, JENORIS products are all about nature at their best. 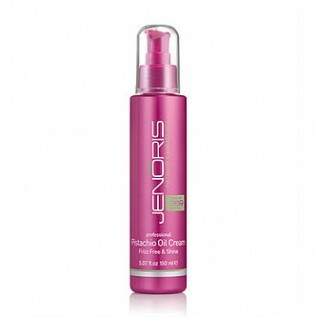 Enriched with Pistachio and Borage oils as a central essence in all of the products, JENORIS nourishes the hair with vitamins and provides it with Omega 3, 6 & 9. These are the essential fatty and non-fatty acids produced naturally by the scalp. Applied to hair which has been damaged by chemicals or heat, this exclusive Omega formula nourishes and enriches the hair fibre, and repairs the structure of the hair shaft. The amino acids and vitamins from the additional fruit oils also provide 100% natural silicones which protect the hair from further environmental damage. 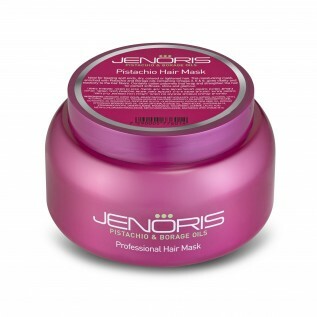 The special blend, exclusive to JENORIS, guarantees hair with exceptional shine, moisture and elasticity throughout the day. Experience the Power of Pistachio for yourself.